The albatross is the largest seabird in the North Pacific. A hundred years ago, the ocean skies would be overcast with clouds of their snow-white wings as they flew overhead. By the 1940s, however, they were on the verge of extinction. Why did these birds that once visited Taiwan every year disappear from view? And how did they establish new colonies on remote islands far away? What has this to do with Taiwan? 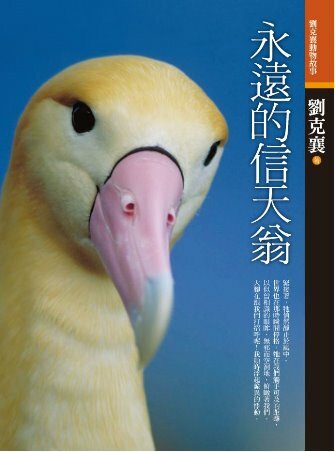 The author has written a beautiful animal story infused with the local flavours of Taiwan. Through the characters of a young ornithologist and a short-tailed albatross with an extraordinary ability to fly, Liu Ka-Shiang retraces a period of history gripped by human greed and ignorance, vividly recreating the story of the albatross, while simultaneously exploring the meaning of flight.